Medication mistakes are responsible for an estimated 7,000 deaths annually. Although this figure is a mere fraction of the number of Americans who take prescription drugs, it’s still alarming given that these errors often have devastating consequences. The FDA has approved more than 1,000 drugs, so it’s not all that surprising that physicians mix them up from time to time. It doesn’t help that some very different medications have very similar sounding names. For example, sertaline is an antidepressant, while cetirizine is a seasonal allergy drug. Likewise, Reminyl is used to treat dementia, while Robinul treats stomach ulcers. Unfortunately, confusing one drug for another is not the only kind of error that physicians make. Sometimes they prescribe the correct drug but fail to review the other medications the patient is taking. When this happens, a dangerous interaction could occur. The most effective way to protect yourself from prescription mistakes is by researching every drug the doctor prescribes before actually taking it. If there appears to be any discrepancies, call your physician to discuss your concerns. Give you someone else’s prescription. Although every pharmacy has procedures in place to prevent such errors, they still can—and do—occur. To avoid falling victim to a pharmacy mistake, read the label on your medication closely, and then look up a photo of the drug to make sure you received the correct pills. If you receive medication while at a healthcare facility, the nurse who is attending to you could make a mistake while administering it. He or she might give you the wrong dosage, for example, or use the wrong administration route. Unfortunately, it can be hard to prevent this kind of error. As long as you’re not incapacitated, though, you can ask your nurses to explain everything they’re doing before they actually do it. 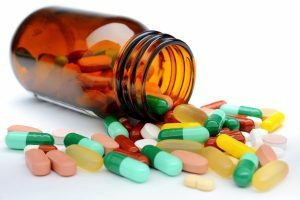 If you or someone in your family has experienced complications because of a medication mistake, contact Charnas Law Firm to discuss your case. 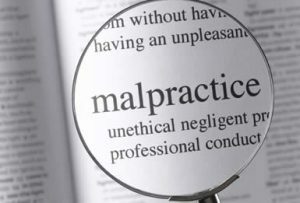 We are proud to help malpractice victims hold negligent healthcare providers financially accountable. Led by Attorney Scott Charnas, who is licensed to practice in both New York and Massachusetts, we have recovered numerous six- and seven-figure settlements and verdicts in personal injury and wrongful death cases. Call our office today at 212-980-6800 or fill out our Contact Form to schedule a free and confidential consultation with a medical malpractice lawyer in New York City.